Reigning Brave Combat Federation Bantamweight Champion Stephen “The Sniper” Loman, 23, of the Philippines successfully defended his belt against Elias “Smile” Boudegzdame, 25, of France in the main event of “Brave 22: Storm of Warriors.” The Filipino mixed martial artist dedicated his successful third title defense to his late uncle Jimmy Nabehet. Born on July 6, 1972, Nabehet is the youngest brother of the reigning Brave CF Bantamweight Champion’s mother Naty Nabehet Loman. 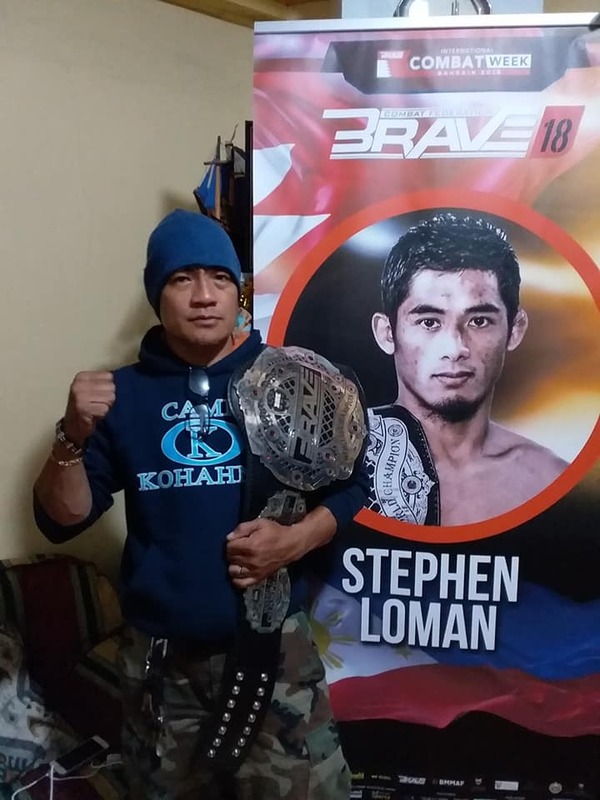 Naty was among Stephen’s family members who watched “Brave 22: Storm of Warriors” live at the SM Mall of Asia Arena in Pasay City, Metro Manila, Philippines on March 15, 2019. On March 1, 2019, Jimmy was killed in a hit-and-run accident while he was driving along the North Luzon Expressway in San Rafael, Mexico, Pampanga, Philippines. The culprit is still at large. Stephen also took the opportunity to ask for help to catch the culprit. He told the audience to send him a private message on Facebook if they happen to have a dash-cam video of the accident that will help identify the person who hit and run his uncle. In addition to opening up on his inspirations and motivations post-fight, Stephen also praised the resilience shown by his fallen foe. He thanked Boudegzdame for giving him a proper fight and said he was praying for a speedy recovery for the former champ, who suffered undisclosed injuries during the bout.